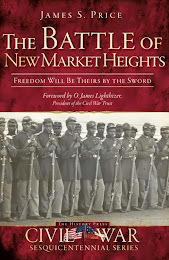 I apologize for the lack of in-depth postings as of late, but I’m currently in the process of helping to put together a tour of New Market Heights for National Park Service historians that will take place a week from today. Part of the “fun” associated with this is trying to figure out a quick and efficient way to get people to the site, which is very difficult to get access to on a good day due to the testy nature of Four Mile Creek. Thankfully it has remained pretty dry lately so no pontoon bridges should be needed. While this tour is reserved especially for those who wear Smokey the Bear Hats, I will be giving a tour (also in conjunction with the NPS) that will be open to the public on September 25, 2010. Sat, Sept 25, noon & 2 p.m.
Fort Harrison Visitor Center. Free. 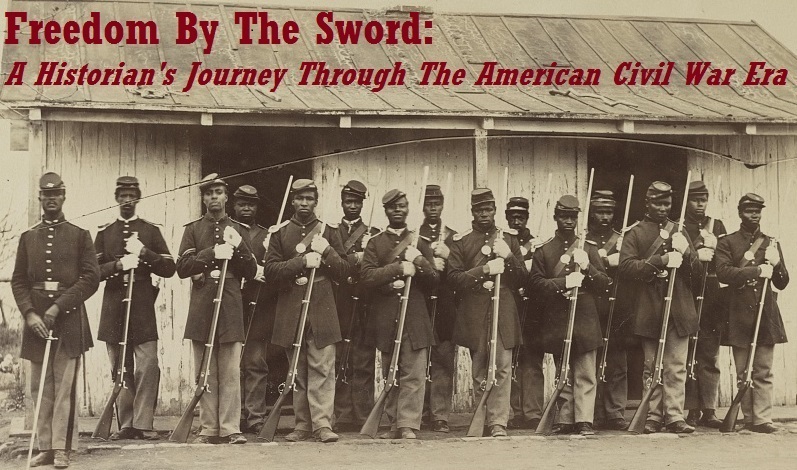 Experience a rare opportunity to tour the hallowed ground where 14 African-American soldiers were awarded the Medal of Honor for Service on September 29, 1864. Walking tours will depart from the Fort Harrison Visitor Center and will last approximately one hour. Comfortable walking shoes and insect repellant are recommended. Information: Jimmy Price, 652-3411. "By all means let us have a reunion"
"The Old Flag Never Touched The Ground"